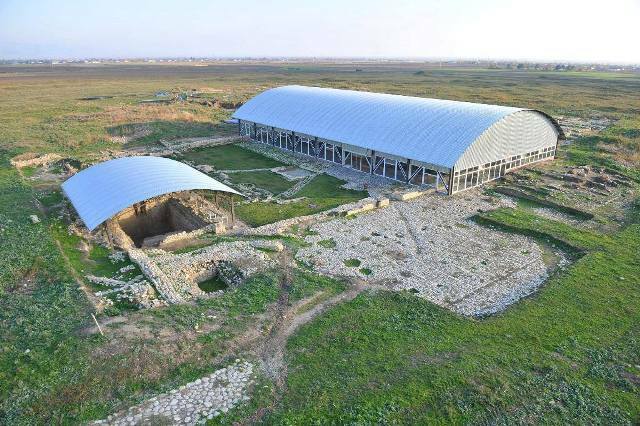 HƏR İL İYUL AYININ MÜXTƏLİF GÜNLƏRİNDƏ KEÇİRİLƏN ARXEOLOGİYA GÜNÜ ARTIQ ÜÇÜNCÜ İLDİR Kİ, AZƏRBAYCANDA MİRAS MƏDƏNİ İRSİN ÖYRƏNİLMƏSİNƏ KÖMƏK İCTİMAİ BİRLİYİ TƏRƏFİNDƏN QEYD OLUNUR. BÜTÜN İŞTİRAK ETMƏK İSTƏYƏN İRSSEVƏRLƏRİ AĞSUYA DƏVƏT EDİRİK. 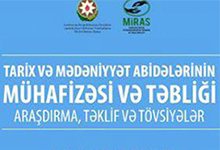 Day of Archaeology is held every year in different days of July by MIRAS Social Organzation in Support of Studying of Cultural Heritage in Azerbaijan. 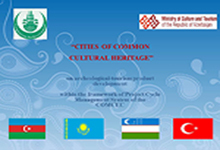 All heritage lovers are invited to Agsu in Day of Archaeology. 1. Exhibition "Urban civilization in early Medieval Mehravan Tower"
LET’S OWN AND RECOGNIZE OUR CULTURAL HERITAGE,OUR IDENITY!